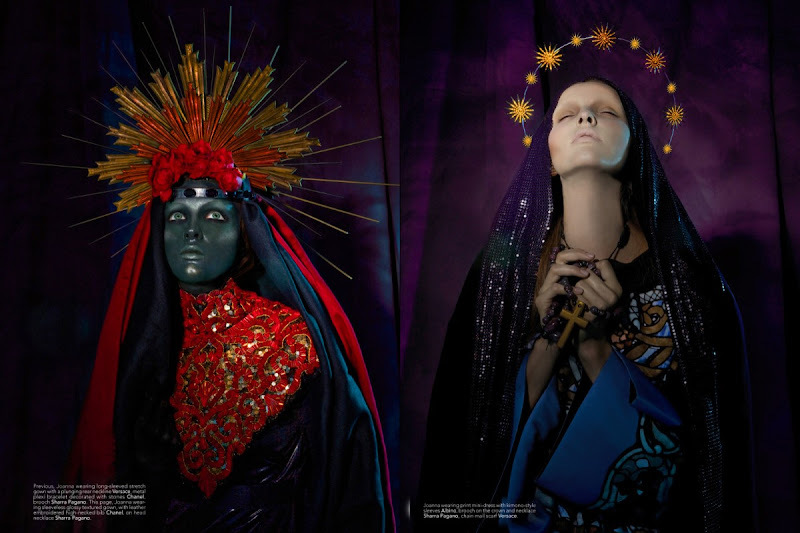 The December 2010 issue of Kurv magazine features this religious themed editorial 'Ora Pro Nobis' (Pray For Us) by Italian photographer Giovanni Squatriti, featuring model Joanna Augusciuk. The photographer Giovanni Squatriti explains, "The omnipresent Madonna has inspired not only the faithful but also the artistic. 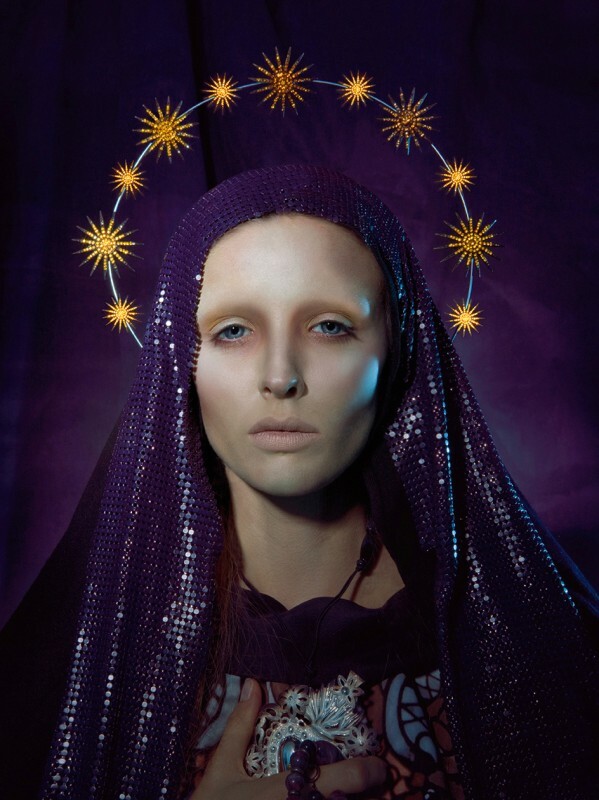 This shoot is a respectful, yet bold tribute to the blessed Virgin Mary. I represent the pain of the stigmata, the tears of blood, the Annunciation plunged into blue, and a black Mary, inspired by the most ancient testimonies of Christian iconography, where Madonna was portrayed with dark skin." 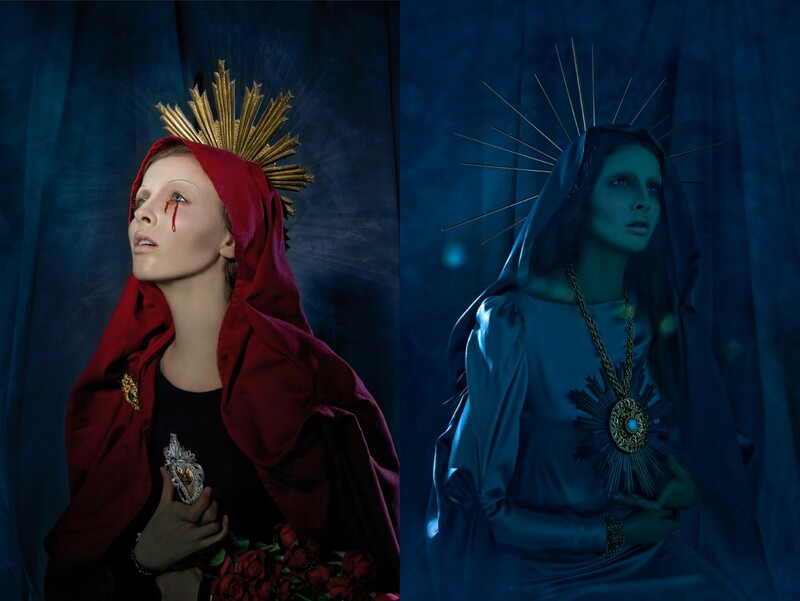 Stefano Anselmo, the man behind the makeup concept, says, "Iconography of the Virgin Mary is colourfully represented, including an ivory Madonna, with cheeks veiled by a chaste paleness, and a dark skin version, of unknown origin. For centuries the Virgin Mary has spread hope."